Welcome to Skärgårdsidyllen Kayak & Outdoor. 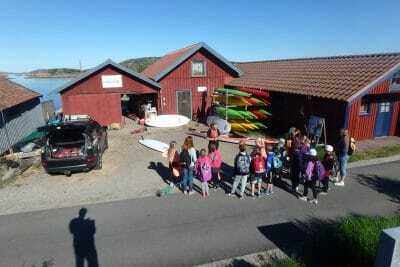 We offer guided tours and courses all year around from our main kayak center in Gronemad, Grebbestad. During the summer we also have kayak stations at Ekenas, Sydkoster and Rosso in the middle of Kosterhavets marine nationalpark. You find us down by the beach in Grönemad, Grebbestad! Drive E6 north and take off at Tanumshede and follow signs Grebbestad and road 163. Turn right when you reach the church in Grebbestad and follow signs Grönemad. Park the car at the parking beside the beach, and walk to the boathouses on your right hand side, the adress is Grönemadsvägen 73. 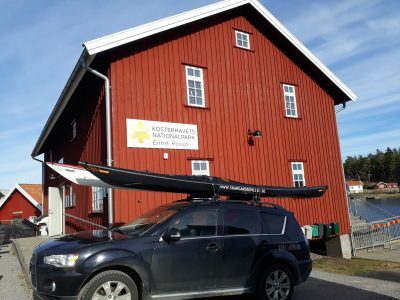 If you are using google maps for navigation simply enter Skärgårdsidyllen and select our center at Grönemadsvägen. Please have a look and become inspired of one of our kayak movies from Grönemad, Grebbestad! 100 meters north of out kayacenter is a public parking where you can park for free until 10 pm. Between the end of August till the middle of June we also have a few long term parking. The rest of the year we recommend long term 100 meters northwest of Grebbestad Church about 2 km East of our kayakcentre. This parkring and all short term parking is free, but the short term parking requires a time card that you can get at the supermarket. 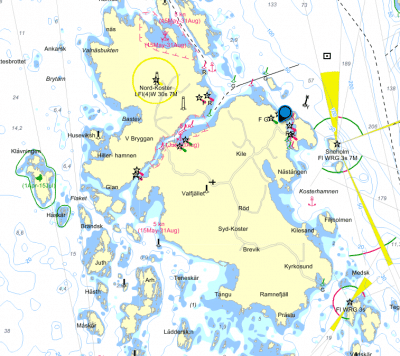 Read more about the parking in Tanum Municipality and the parking map. 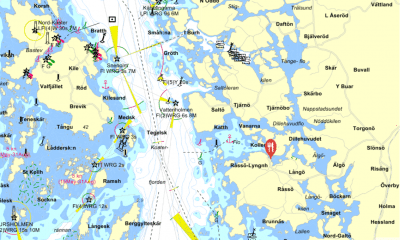 You will find us in the heart of Koster marine nationalpark more exact by the harbour of Ekenäs and our partner Koster Cykeln, South Koster. From here you reach the entire marine nationalpark. We recommend you to book kayaks online in advance since we have a limited number of kayaks. 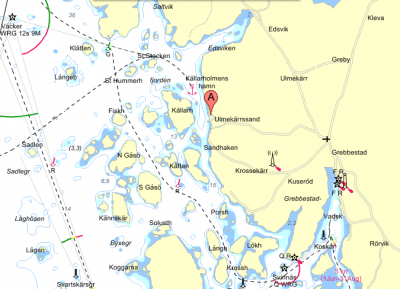 You reach the nationalpark and koster by ferry from Strömstad with charter a boat or by public transport, ferry. A pickup point means that we don’t have our own staff and that the kayak knowledge and service level is limited. This means more responsibility for you and it is very important that you leave the equipment in good condition and inform us about any damages in order to secure a good experience for the next customer. Rossö is one of 5 entrances to Kosterhavets marine national park. We cooperate with the information center Naturum and restaurant Rossö hamncafe. This is a perfect way to get information about the nationalpark and a nice meal before and after the kayaking. We recommend you to book kayaks online in advance since we have a limited number of kayaks.